This is Day 3 in a series. You may want to check out the previous day, or start at the beginning. Well lookie here! I actually got this one posted when I wanted to, rather than a couple of days late. Imagine that. There aren't a lot of movies that are on this list, but the ones that are on here are absolutely fantastic. This list is The Winners of 2013. I've already written a piece on Gravity that you can read here, but I'll just give some highlights. The important things to know are that the actors do a great job, and that the CG is ridiculously expensive. Apparently almost all of the movie was filmed in front of a greenscreen where even the actor's spacesuits were done in CG. It was a super impressive operation. It explores some pretty deep themes and it's pretty intense the entire time with only a few moments of calm. I enjoyed it greatly. If you want to know more about the movie, you can always check out my article. It's the only movie on this list that the Academy decided was a contender for Best Picture, so it's got that going for it I guess. Recently I've stopped caring about the Oscars though. It's all a popularity contest anyways. Jaeger vs. Kaiju. Who's gonna win? 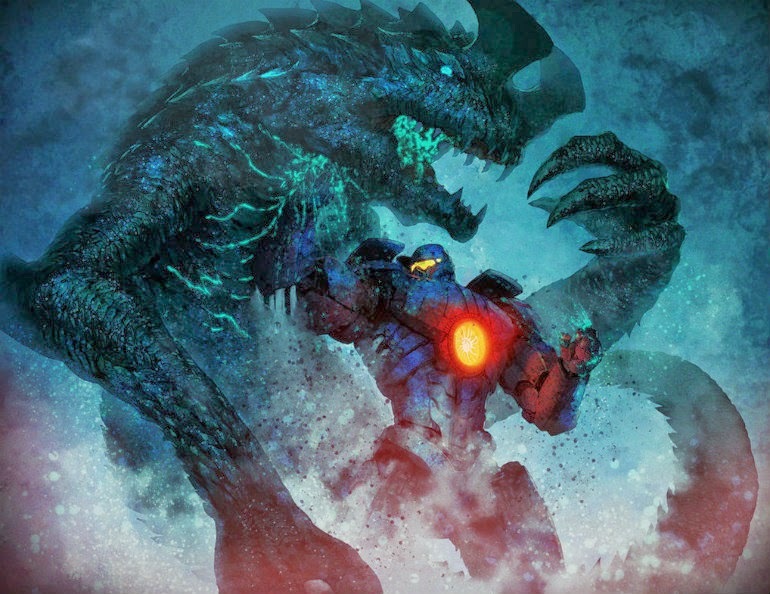 If there was ever a movie that wouldn't win the Oscar for Best Picture, it's Pacific Rim. 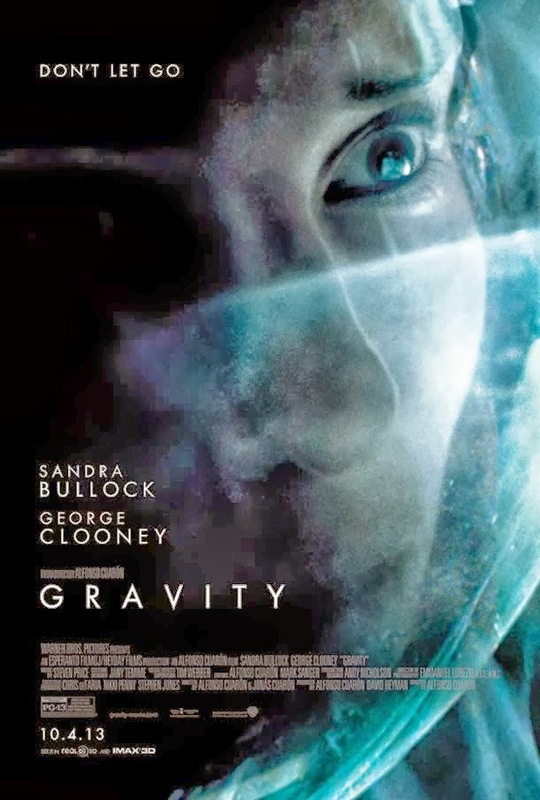 I love the movie to death, but it is not anything that the Academy would ever go for (except possibly for visual effects if this wasn't the same year that Gravity came out). After it came out, I heard a lot of people expressing their disappointment in the movie. I think people set their expectations to the wrong level; it was directed by Guillermo Del Toro, the mastermind behind Pan's Labyrinth, and they were expecting something similar. 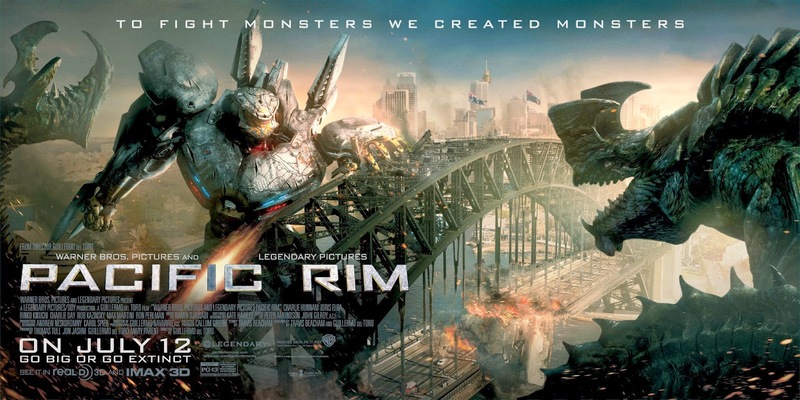 As a result, when I saw Pacific Rim I had no such expectations, so I wasn't disappointed. If I was to sum up why I like it, it's because it's everything that it promised it would be... and nothing more. Seriously. When I went to watch Pacific Rim, I went to watch a movie where giant robots fought giant aliens, and that's exactly what I got. I didn't go for an airtight plot or for intelligent dialogue or for stellar acting, I went for the Jaegers punching Kaiju in the face. And that's exactly what I got, so I loved it. Was it cheesy? Yeah, a little. Was the main character poorly written and acted? Yeah, a little. Did the movie rely on an endless supply of clichés and deus ex machina? Yeah, a little. Did a giant robot wield an oil tanker as a baseball bat? Heck yes! Now, if you'll remember what I said about Oblivion yesterday, I said that I didn't like it because it relied on clichés and was poorly written, no matter how awesome it looked. And yet, here I am saying that I loved Pacific Rim in spite of the clichés and script. Seems like a bit of a double standard, doesn't it? I think that the reason that I have such a different opinion of the two is because of the movies attitudes towards themselves. Oblivion was a serious movie that had some sort of message to give (whatever it was), while Pacific Rim was ridiculous, knew it was ridiculous, and didn't try to hide it. Because Pacific Rim didn't take itself seriously, its flaws didn't do anything to hurt its purpose, so they can be much more easily ignored (which I am apparently very willing to do). One positive point of similarity that Oblivion and Pacific Rim share is the soundtrack. There were three movies that came out this year that I absolutely loved the soundtrack (and specifically the credits song) for. I've mentioned the other two already (The Hobbit: The Desolation of Smaug and Oblivion), and Pacific Rim rounds off the trio. Actually, there was one movie from each category interestingly enough. In any case, the song "Drift" by Blake Perlman ft. RZA is pretty fantastic. Or at least the Blake Perlman parts are. RZA sounds like he never learned how to enunciate. The rest of the soundtrack is pretty good too, although I noticed that there was really only one recognisable theme in the entire thing. It's ok though, because it's an awesome one. Obviously, the reason to go watch this movie is for the fight scenes, and they do not disappoint. The story logic as to why things had to be done this way is lacking at times, but the movie logic is pretty obvious: it's awesome. Giant aliens start appearing? The obvious solution is to develop giant robots to fight them in hand-to-hand combat. The robots have a limited range? Fly them closer to the action using 8 helicopters. It doesn't matter if the logic is lacking, because the awesome is definitely there, and that's all that really matters. The movie is really just a string of fight scenes with dialogue in between to give a reason to move to the next fight scene. I was going to keep this list locked down to live-action, science-fiction / fantasy type movies (which is why I didn't mention Monsters University or Despicable Me 2, which would have ended up with The Ambivalent), but I can't not talk about Frozen. It's a cultural phenomenon and the only movie that I payed to watch twice, that's how good is is. Disney has a new classic on their hands, and they're milking it for all that it's worth, although they didn't handle it all that well at first. I saw a couple of trailers for it and became interested, but not enough to go out of my way to watch it. The movie was barely being marketed at all, and the marketing had almost no information about what the movie was going to be like. Its popularity was from word of mouth. Some people went to see the movie and liked it. Critics started giving it really good reviews. Phrases like "the best Disney movie since The Lion King" were used, and the hype started to grow. More and more people went to watch it, and they came back singing the songs. Covers started appearing on YouTube, and before long, everyone knew what Frozen was. From what I can tell, people really appreciated how the bond between sisters was the main focus of the story, not a fairytale romance, as well as the smart writing and the Broadway-style songs. Personally, I liked it for those reasons and because it did a good job subverting common Disney tropes. (if you want to know what that means, go here, but don't blame me for time lost). It goes without saying that the music is fantastic. Idina Menzel (the original main character in Broadway's Wicked) is Elsa, the older sister, while Kirsten Bell plays Anna, the younger sister. Elsa has the ability to freeze things and create snow with her hands, but is forced to try and hide this ability because she can't control it. Anna has no memory of Elsa's powers because she was accidentally hurt by them when they were young. 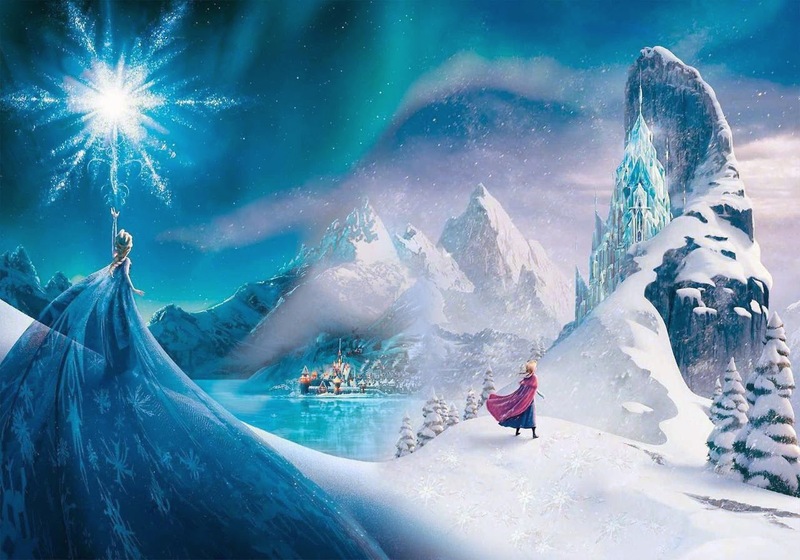 Their parents passed away, and on the day of Elsa's coronation an accident occurs that ends up freezing the kingdom and making Elsa run away. Anna chases after her, and that's where the story really begins. If you haven't heard "Let It Go" by now, I'm seriously impressed. It would be really hard to avoid that. Everyone that I know has been singing it for months now, and it's not showing any sign of letting up. Disney even released a singalong version. Like I said, the marketing department took a little while to get going, but when they did they really capitalised on it. If there's anything that Disney knows, it's how to make money. I don't think that anyone could have predicted just how big Frozen got, but they definitely noticed when it did get big. Tangeled and Wreck-it-Ralph didn't get nearly as big as Frozen, although they were both almost as good (and some people like them better). One complaint that I do have with the movie is that there's really no villain for most of it. I mean, one person does turn out to fit the "bad guy" role, but the crime really isn't all that bad compared to some movies, and before the reveal as the villain, there's really no indication, no subtle hints, that this person might be evil. There are no lingering shots of them contemplating taking over the kingdom or any other visual cues that should normally exist. Really, the only reason that you would ever suspect them is because it seemed like that should naturally happen based on interactions between other characters. I was really hoping that they wouldn't turn out to be the villain, to subvert another trope, but unfortunately that didn't happen. Complaints about villains aside, I really did enjoy the movie. 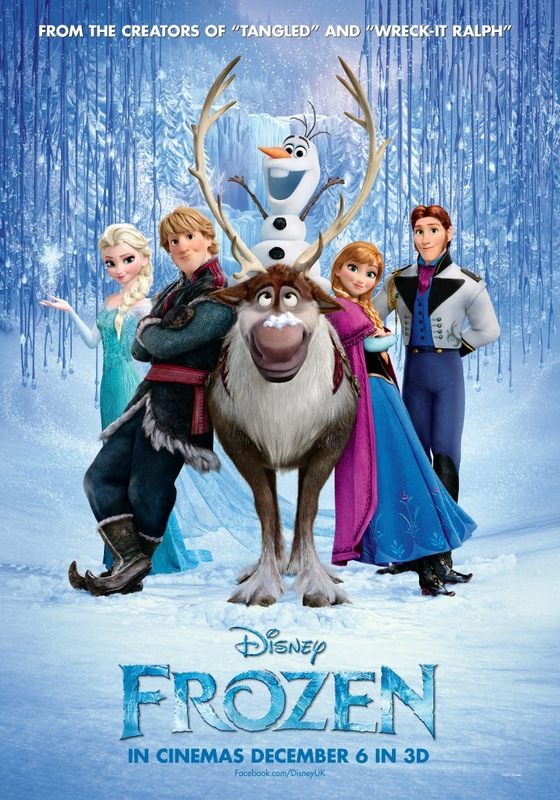 The songs are catchy, the characters are smart, and the snowman is funny. What more could you ask for? Disney's next big animated movie won't be out for several more years, but I'm already excited, if only to see if they can do just as good again.